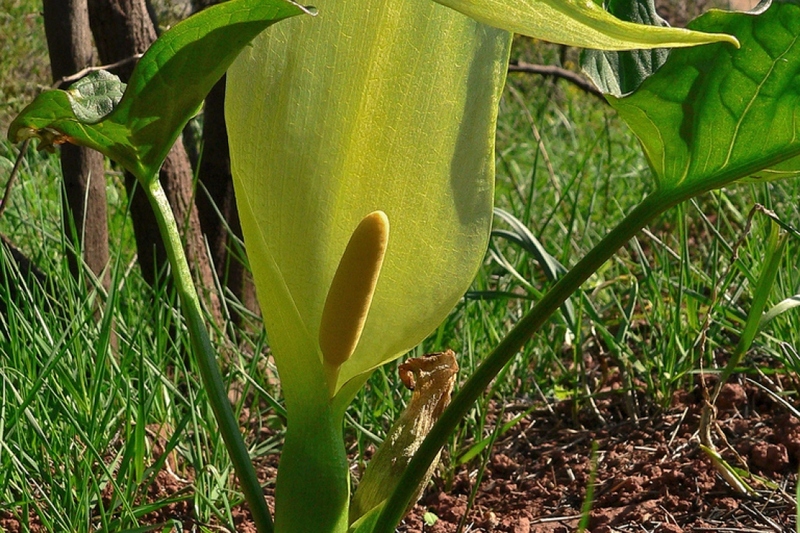 Italian Arum (Arum italicum): growing, planting, caring. Arum italicum is a spathe flower - with numerous cultivars. It is also invasive in some areas. Arum lilies are perennials that grow from 15 to 50 cm in height, with spear-shaped, occasionally cordiform leaves. 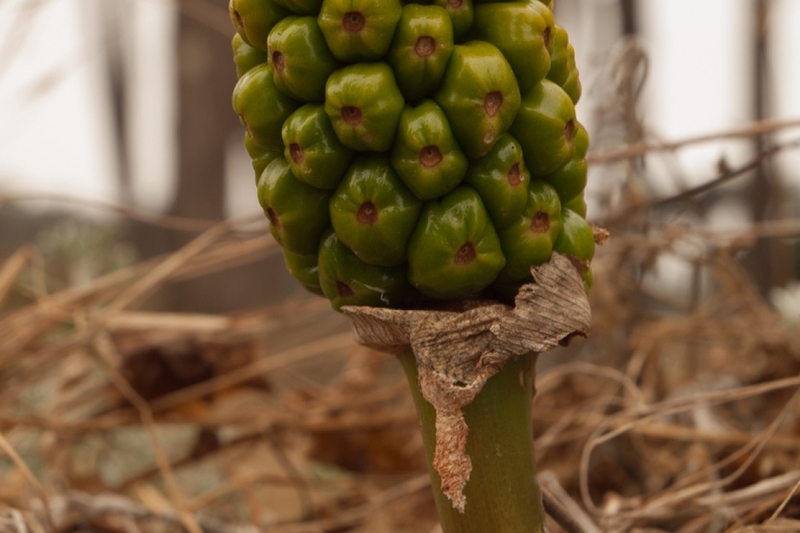 Their flowers are spathes that surround the spadix of small flowers, transforming into red, orange or green berries. Don't get it mixed up with calla lilies — from the Zantedeschia genus — which are interior plants! Plant in autumn or in spring in well-drained, fertile, and shaded soil, planting the bulbs 15 cm underground. Prepare the soil with some light digging (to decompact without necessarily turning it over with a pitchfork or broadfork), hoeing, and raking. Plant these perennials, leaving half the height of the fully-matured plants between each (verify the precise spacing by reading the label or reading up on your specific cultivar, if possible). Tamp the soil down well so that the roots are not in contact with air, then water generously. If potted, plant in a mixture of potting soil and sand. Train any lilies taller than 80 cm in March, otherwise they may droop and sag after rain. A stake and a wire should do the job. Mulching your arum lilies in November will save you from watering and weeding and will even fertilize the soil a bit as it decomposes. 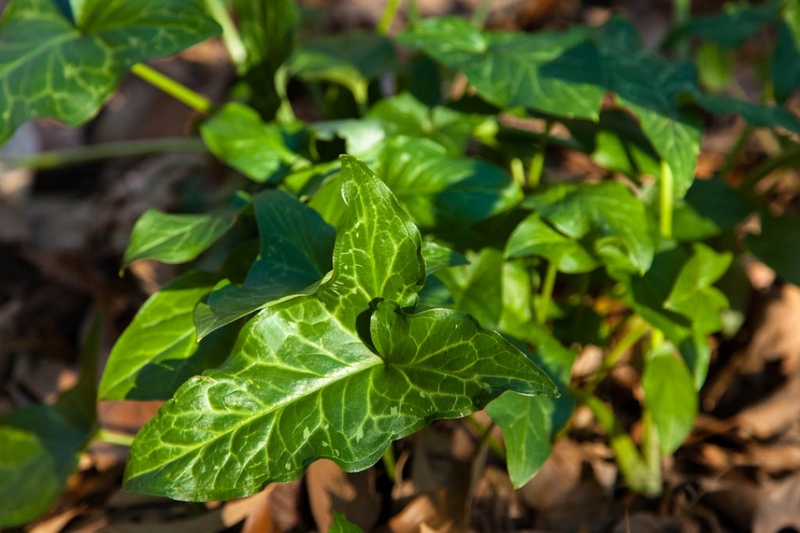 For frost-sensitive arum lilies, place a 10 cm layer of mulch or leaves around the plant. Water for the first month after planting in the spring, and in case of dryness. If indoors, water regularly, as soon as the soil becomes dried. Harvest the seeds if you'd like to propagate your arum lilies! Multiply them by seeding in a pot under a cold frame in autumn or spring, after removing the caustic external flesh of the berries, then transplanting them in open soil after the last freeze. Keep the pots humid for the first few weeks.